The psychological expert credited with bringing attention to the potential effects of birth order on human personality was Dr. Alfred Adler. Individuals who follow his line of thinking tend to reason that middle children may feel left out or invisible since the eldest and youngest siblings receive greater amounts of attention from the parents. 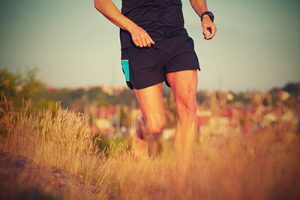 Your midfoot can probably relate quite well to this psychological theory! When people think about the foot and the various issues that can arise, there is great emphasis given to the fore- and hindfoot regions (toes, ball of foot, heel, ankle). Unless there is an injury and midfoot treatment is needed, the part in between simply does its job without receiving much attention or care. When the midfoot is injured, the medical issues that can be sustained include sprains, fractures, and dislocations. If any of these happen, you will often recognize them due to swelling, bruising, and pain in the area. At this point, it is time to seek care, and Dallas Podiatry Works is ready to help. Treatment for a midfoot injury naturally depends on its severity. When ligaments are not completely torn and there are no bone dislocations or fractures, conservative care can be quite effective at addressing the problem. In these situations, our treatment plan will likely be centered on making sure the injured foot is stable and keeping weight off of it. To achieve those objectives, we may prescribe an orthotic device or removable cast boot to be worn for up to 6 weeks. In more severe cases, we might need to perform a surgical procedure to position fractured bones for correct healing. We can use plates, screws, and/or pins to keep damaged bones in the right spot. There are situations in which we may need to fuse bones together, particularly when ligaments are ruptured or joints cannot be repaired with plates, screws, or other hardware. No matter which midfoot treatment, conservative or surgical, will best benefit you, our office will provide the effective care you need. Contact Dallas Podiatry Works for more information by calling our Dallas, TX office at (972) 566-7474 or our Plano office at (972) 943-3323. We can help you schedule an appointment over the phone, or you can fill out our online form to request one today.